Recent release “The Life and Times of Thaddeus Whiskers” from Page Publishing author Marcia Franke is a fantasy, which takes place on a farm and in a protected area of woods at the edge of a national forest in central Kentucky, USA. It is the story where one discovers that humans and animals share closely related worlds. 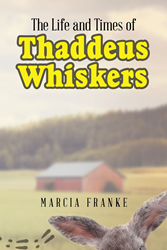 Marcia Franke, a theater enthusiast, actress, director, wife, mother, grandmother, animal lover, poet and playwright devoted writer and author, has completed her new book “The Life and Times of Thaddeus Whiskers”: a gripping and potent story of inspiration and understanding. Published by New York City-based Page Publishing, Marcia Franke’s inspiring book explores the world and the subconscious through the imaginative nature of the main characters. The characters portray strengths, frailties, delights, and challenges common to human beings. As they face and deal with moral and emotional dilemmas, they reveal truths about human traits without being overly pointed. Each has a distinctive persona, which recognizes the importance of the Creator, friends, and family in their lives. The reader may find that it is easier to see the essential qualities of the human soul, to believe in beauty, goodness, and virtue through the experiences of these whimsical personalities. The world of the farm and Old Coffey Woods is a safe place to be and to learn about the realities of life and death. Readers who wish to experience this insightful work can purchase “The Life and Times of Thaddeus Whiskers” at bookstores everywhere, or online at the Apple iTunes store, Amazon, Kobo, Google Play or Barnes and Noble.